The Grateful Dead and their fans have been through quite a journey, one that thankfully shows no signs of slowing down. Due to the beautiful community of Deadheads and their never-ending search for the sound, the Dead’s music continues to find fans together sharing that special energy that can only come from a joint spiritual consciousness. Chances are, if you’re reading this, the Grateful Dead’s music has been a big part of your life — ours too. That’s why you can count on us to keep the Grateful Dead alive at LOCKN’. 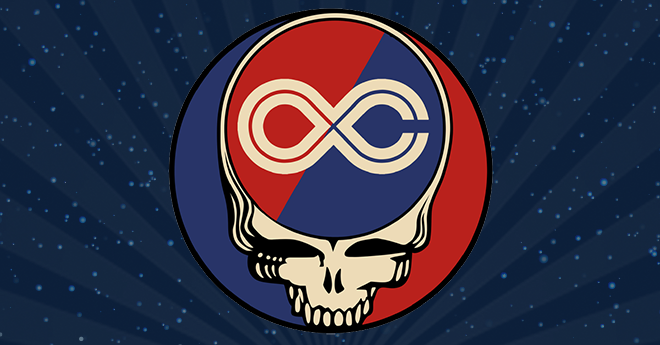 New to the LOCKN’ family this year are Joe Russo’s Almost Dead. Starting out as one of the most exciting Grateful Dead tributes in the scene, these guys quickly turned into a powerhouse jamband giant, transporting listeners to wherever it is the band wants to take them. Members of the band are no stranger to sharing the stage with Grateful Dead legends, solidifying that they can hold their own with the band, their fans, and their music. We’re excited to get down with Joe Russo, Tom Hamilton, Scott Metzger, Marco Benevento, and Dave Drewitz as Joe Russo’s Almost Dead during not one, but two late-night ragers at LOCKN’! Starting your morning with Keller’s Grateful Grass at LOCKN’ 2016 will be a rejuvenating and joyous experience. Keller’s Grateful Grass pays homage to the Grateful Dead by breathing new life to the music, and offering fans unique grassy renditions of their favorite tunes. During the course of Keller’s incredible career, his love for the Grateful Dead has come through loud and clear. It’s inside Keller’s playful improvisational spirit that influences of the Grateful Dead and their music can be seen and heard, and minds and bodies of kindred spirits can connect with each other. The bus is coming by at LOCKN’ and Keller Williams is in the driver’s seat. Make sure you get on! Back for a third time this year, are our friends at Garcia’s at The Capitol Theatre, presenting the Garica’s Forest. Most LOCKN’ ‘Lumni will have memories of dancing under the Garcia’s Tent with 200 of your new best friends until the sun came up. It’s possible you also caught up with the Garcia’s crew at Chicago’s Soldier Field during the Grateful Dead’s “Fare Thee Well” shows. These guys have one mission, to spread the joy of Jerry to anyone who will listen. 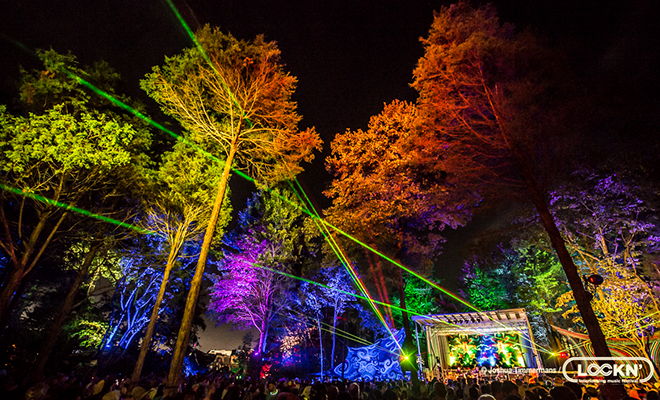 Each night of LOCKN’ will feature late-night dance parties in The Forest with the music of Jerry accompanying the natural beauty of our surroundings. Making their first-ever live debut at LOCKN’ this year is Circles Around the Sun, the band that provided the highly talked about intermission music for the Grateful Dead’s “Fare Thee Well” shows. Their instrumental music loosely weaves together melodies from Grateful Dead songs with melodic tales of intoxicating atmospheric jams. Deadheads won’t find any problem decoding which Dead song the band is paying tribute to, while also getting lost in their mind-altering musical journey. When Keller’s Grateful Gospel hits the stage on Sunday morning, there will be nothing left to do but smile, smile, smile! Always one of the favorite sets of the weekend are Sunday services with our favorite musical preacher, Keller Williams, and his choir of psychedelic gospel superstars. Keller’s gospel renditions of the Grateful Dead will speak to your mind, open up your soul, and have an overwhelming positive effect on the rest of your day.